We placed signs in front of each of the five homes to ask for help from the residents in the surrounding neighborhood. Residents were asked if they knew something about the history of these homes or of the families that once lived in them. They were invited to click on the link below to become involved and to add their narrative to the tour! 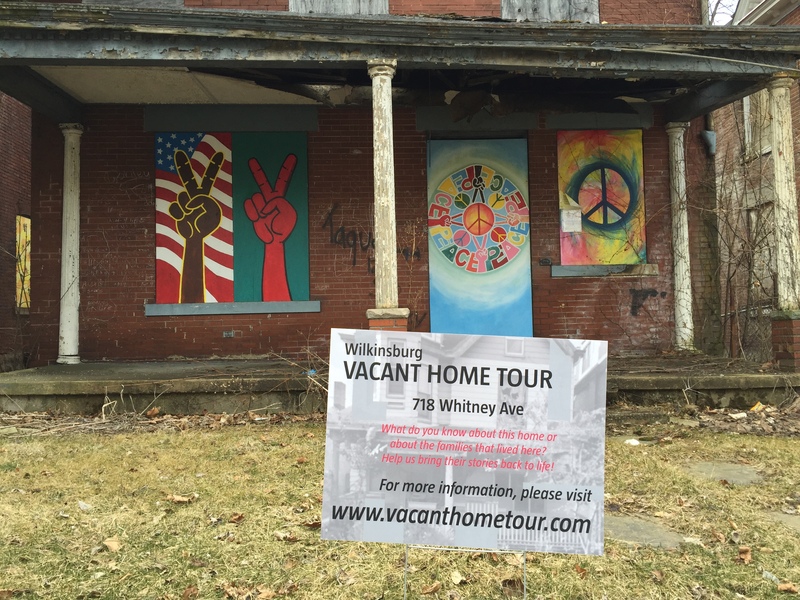 We met with Wilkinsburg neighbors at the Hosanna House to plan the Vacant Home Tour for their community. The meetings were informational but also included activities to get our community members engaged in the process of designing the tour themselves. Everyone participated and we gathered lots of great information and feedback. The final tour route was a result of all their hard work!